Jane lives in Novato and was a client of ours before she started walking. Jane is a lifelong dog owner and Lever and also she is into equestrian events. 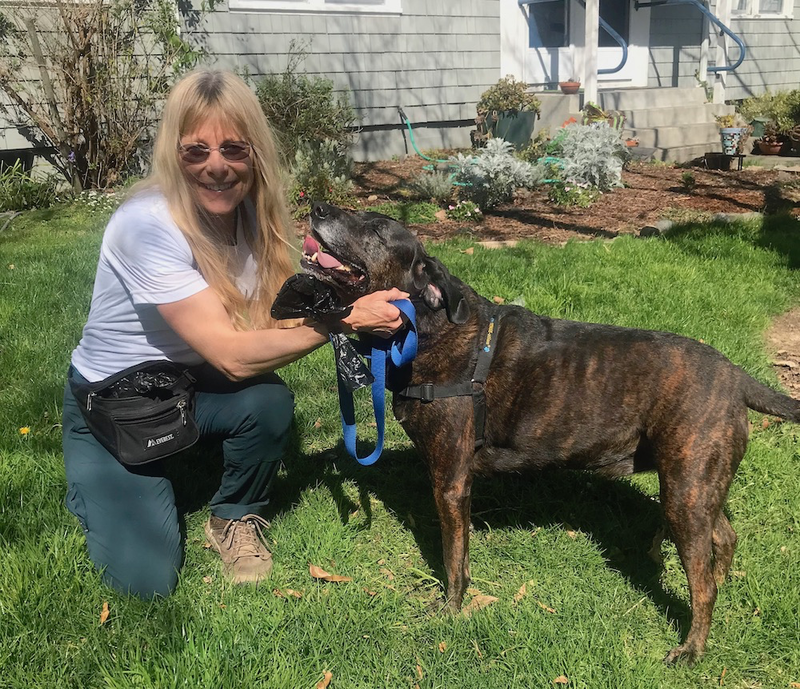 Prior to joining us she was an assistant dog trainer and volunteer at Marin Humane Society. She retired from office life and is keen to fill her days being outside with the things she loves a.k.a. dogs.